'Catched in glass tubes' distorted, clear, secret, public.... together they are the collection of memories of a person of a special occasion or person. 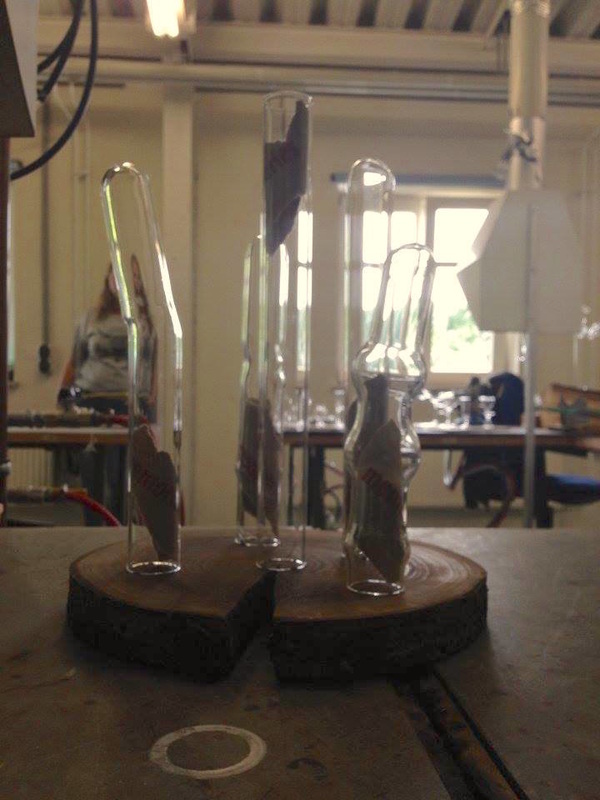 The combination of different materials (glass, wood, paper etc.) gives you the opportunity to let me design the right solution for you. Of course there are many more possibilities. Curious? I would like you to inspire me to design that special object/solution for you.